Christmas is almost upon us and that means all ones yearly efforts to stay lean and healthy fly out the window as we tuck into Mince Pies and festive drinks. 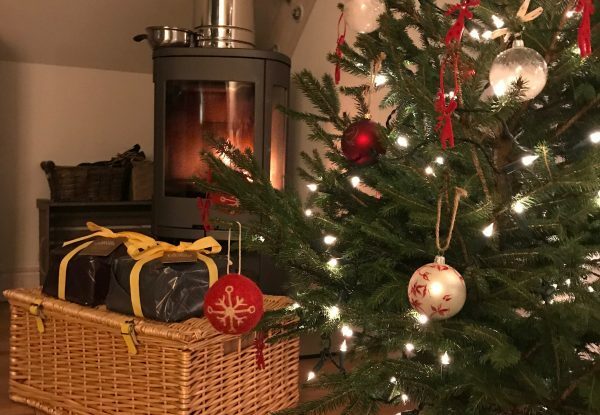 Food and drink are maybe the most important elements to Christmas, from the turkey on Christmas day to gorging oneself on treats and bubbly, there really is nothing more satisfying than that food coma come Christmas Day. One food tradition, which also makes for a wonderful gift, is the Christmas Hamper, and nobody does it better than Selfridges! Selfridges Food Court is renowned for its quality and amazing selection of regional and international foods, and that reflects in the huge and impressive range of Christmas Hampers. 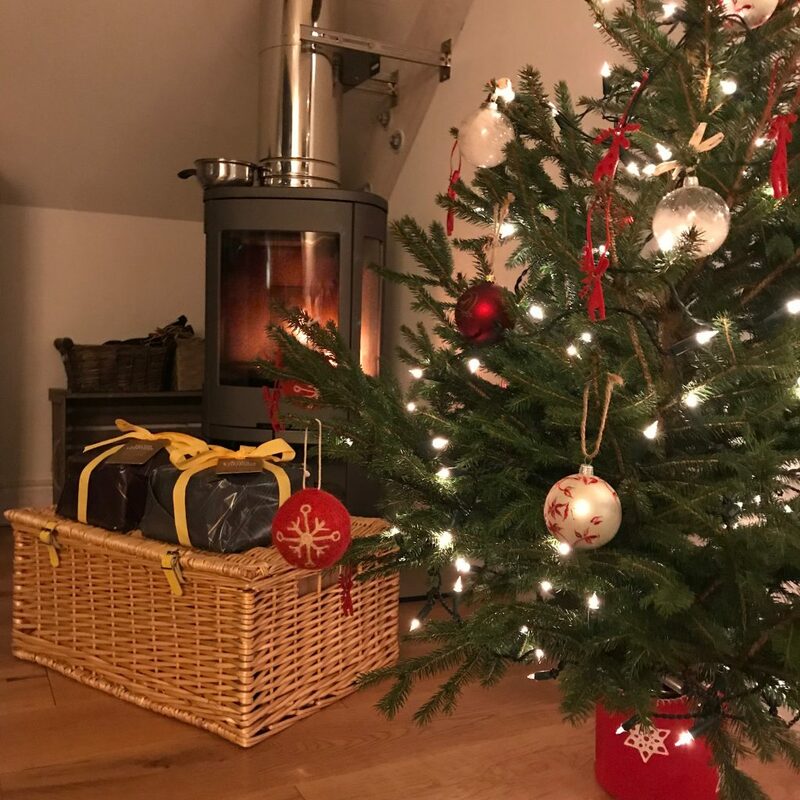 From small heartfelt hampers filled with sweet delights to the feed the whole family hampers with lashings of booze there is a hamper to suit everyone and every budget. 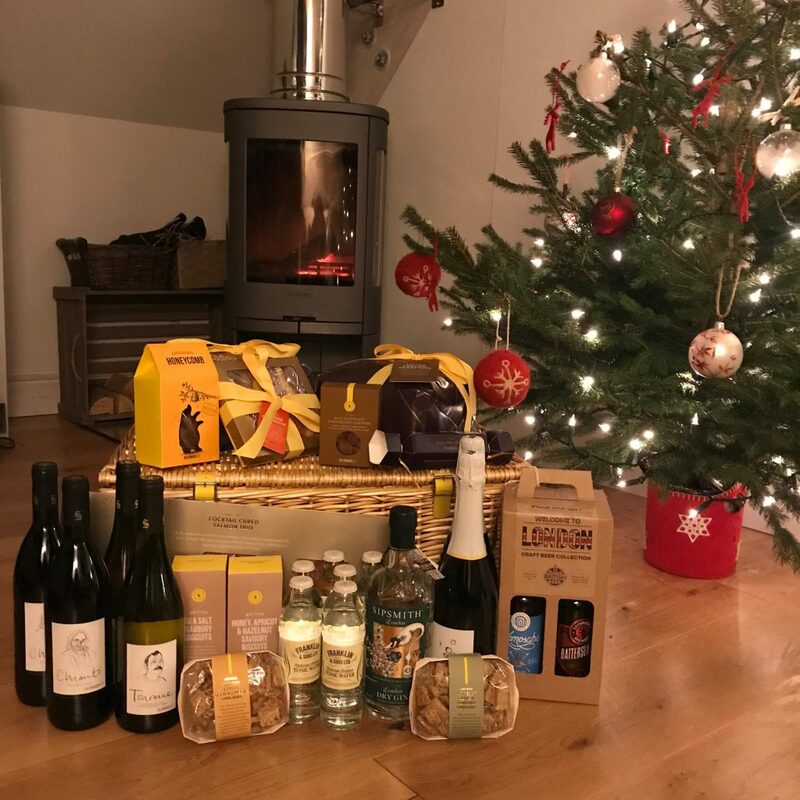 After much drooling over the offerings we opted for the The London Deli Hamper which featured a great mixture of savoury and sweet delights and more importantly some festive libations to get the party going! 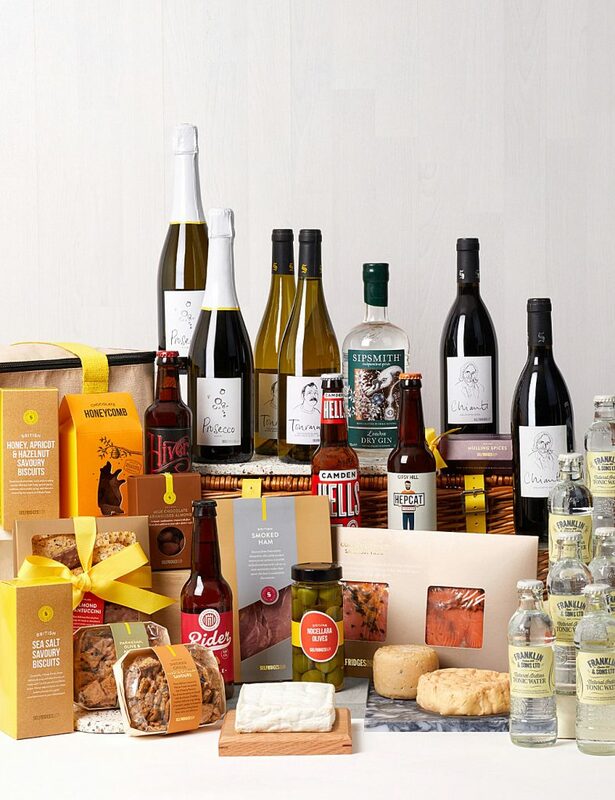 So first off the best part of a Christmas Hamper is the hamper itself, even after all the food and drink is gone you have a beautiful hamper that you can continue to use either for picnics or as a piece of interior design, a plus side of The London Deli Hamper is you also get a Selfridges Cool Bag. Once inside there is a plethora of scrummy food including Chocolate Coated Honeycomb, Selfridges Cacao Dusted Almonds, Mulling Spice Kit, Selfridges Olives Nocellara, Selfridges Cheese Seed and Chilli Savours and Selfridges Parmesan Olive and Almond Savours. Then there is the CHEESE! I love cheese and even more so stinky french cheese so I was delighted to find lurking a whole Époisses de Bourgogne in this hamper, there is also a wonderful Aged Cheddar and some Bath Soft which is reminiscent of a mild Brie. The Cheddar and Bath Soft did not last long and the Époisses de Bourgogne is at present in the outdoors fridge ready for Christmas Day (which I may have to consume outside due to the stink!). The hamper also has some amazing fresh smoked salmon, which Eisbär inhaled, and some lovely gammon style ham, perfect with some olives and some cheesy biscuits! After stuffing oneself on the savoury there is nothing more Christmassy than a Panettone, this year Selfridges have gone all out with some incredible special editions including the Italian Salted Caramel Panettone which is naturally leavened with salted caramel without candied citrus peel and raisins. This sticky, moreish panettone is made with subtly salted caramel for a unique twist on an Italian classic. Created by the Filippi family in the Veneto region of Northern Italy it has a deliciously golden centre. There is also this season the Italian Blond Chocolate and Hazelnut Panettone which uses delicious Blond Orelys chocolate from Valrhona and IGP hazelnuts from Piedmont. A great twist for this panettone is it is delicious served toasted, serve with a black espresso for the ultimate Italian indulgence. So at this point I have to come clean, neither of these cakes have made it to Christmas. After opening them to have a “quick taste” Eisbär and I continued to (over a week) demolish each Panettone. This adds as a warning: once opened there is no power on earth (even the guilt at ones expanding waistband) that will stop you from eating these cakes – they are DELICIOUS! Lastly no Christmas would be complete without lashing and lashings of booze. Now there is no dodgy liquors that only get consumed at Christmas in this hamper, instead you will find some carefully selected wines, spirits and beer. 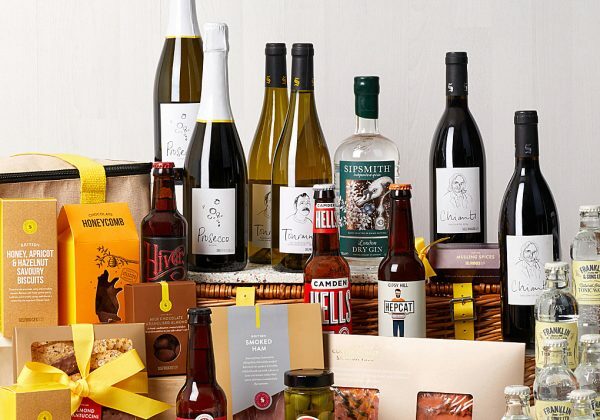 Included in the hamper are Selfridges Chianti, Selfridges Prosecco, Selfridges Touraine Sauvignon, a Beer Gift Pack, a bottle of Sipsmith London Dry Gin and some Franklin & Sons Natural Indian Tonic Water to wash it back with. Eisbär and I have managed to refrain from raiding this section of the hamper (minus a few G&T’s) so I am rather excited for Christmas Day where you will find us very, very, very merry. 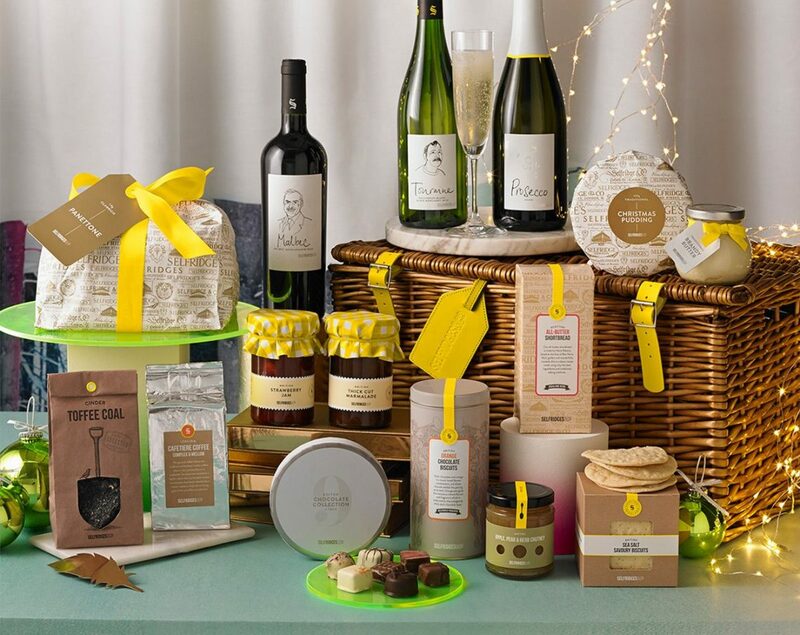 So at this magical time of the year, whether looking for a unique gift or you just want to treat yourself, you cannot go far wrong with a hamper from Selfridges. Their attention to detail as to the contents is sublime with specially curated food and drinks exclusive to Selfridges and artisan and boutique brands that will have you licking your lips. So cheers Selfridges, thanks to you I will be very stuffed and squiffy this Christmas and that’s how it should be! For more information on the hampers and festive food available from Selfridges see online.